The operator of the renowned casinos Winpalace, Slots Jungle, GoldenCherry and Casino Titan now launched their latest online casino, Casino Begado. The faultless history and operation of these brands guarantees us that this latest addition to the empire will live up to the name and earn recognition over time. The best thing is, Begado is US friendly, a rare thing these days. It also uses the nuWorks software, making it even more attractive. Begado’s best slots bonus is exclusively for new players. On each of your first 3 deposits you can score an extra 333% up to $3,333 for all of the slot games! Just use the bonus code BEGADO in the redeem bonus tab of the cashier. Make your deposit after claiming the bonus and it will be automatically credited to your account. This bonus has a wagering requirement of thirty (30x) times the deposit and bonus amount. Begado has a signup offer for those not that into slots as well. We’re more than just slot games at Begado – we’ve also got huge selection of your favorite table games. Use bonus code BEGADOTB to grab a 100% up to $1,000 bonus on blackjack or video poker games! You can claim this offer the same way as the above one. The wagering requirement of this bonus is thirty (30x) times the deposit and bonus amount. When done with the welcome promo you’re still not out of bonuses at Begado. 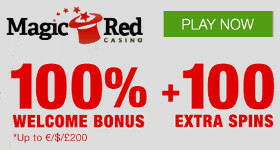 Weekly bonuses guarantee that each and every deposit of yours is rewarded with a bonus. Thirty (30x) times wagering requirements apply for the deposit plus bonus amount. Choose your preferred bonus now and give Bedago casino a try!